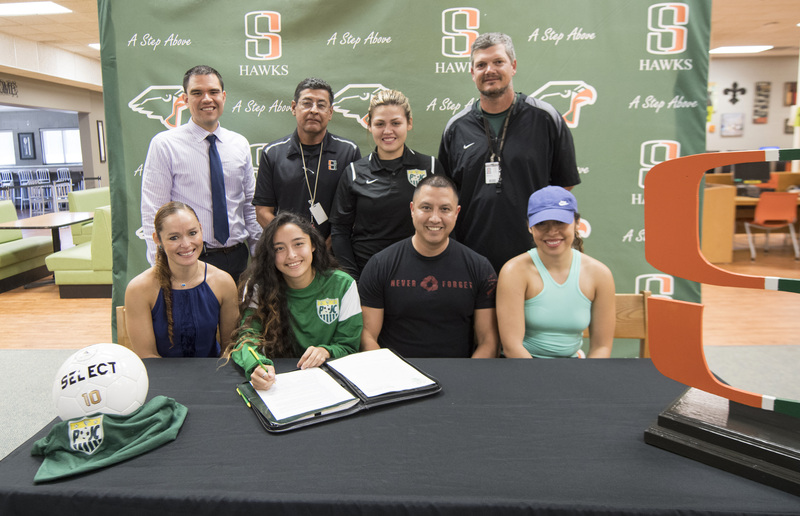 Lady Hawk student-athlete Vivianne Alexa Garza signed her letter of intent to play soccer for Paris Jr. College on May 24. Students, coaches, community members, college representatives, and administrators joined in the excitement during the official signing ceremony held in the Harlingen High School South Library. Paris Jr. College is a NJCAA Division 1 school loacated in Paris, Texas.